Cozi. 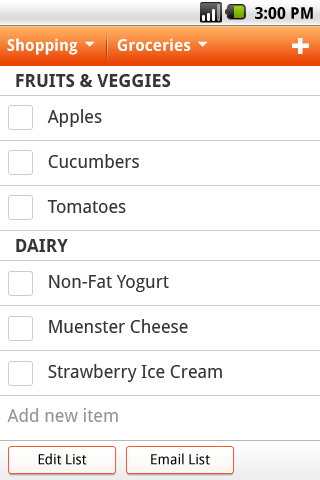 This software turned up when I decided we need a smarter way to manage our shopping lists, but it does much more. For our needs, I want to allow each family member to contribute to a centralized list when we need something or run out of a product. Cozi can do that with multiple lists — say, one for groceries and another for clothes — so if we didn’t buy something, the person who neglected to put it on the list will have to do without. The software also offers a family calendar, to-do list, and a group journal. It’s a free (ad -supported) app with service for iOS (s aapl), Android (s goog) and the web, but there is a paid version that eliminates advertising. Google Calendar. Sometimes the simplest solution is the best, and for our family, Google Calendar is the method we use to keep track of everyone’s activities. Everyone in the house has a Gmail account and tracks all appointments and events in the Google Calendar. We all share the calendars, and I even share a personal calendar with my ex-wife, which helps us schedule events with our son in a way that avoids calendar conflicts. Since it’s web-based, we all have access from computers and handsets, plus the last holdout in the group finally migrated to a smartphone, so we can now all check calendars on the go. Glympse. This is a handy tool to see where family members are. It’s particularly useful for when I pick up my son every other week. Due to irregular work hours and traffic, I’m often running late for my scheduled pick-up time, which is inconvenient for everyone involved. 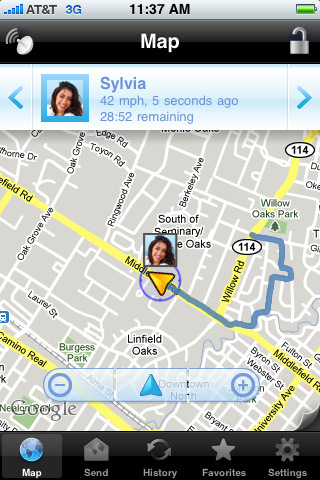 Glympse solves that problem by shooting my exact location in real-time to my son while I’m on the road. The free software for iOS, Android and Windows Mobile (s msft) lets you specify who can see your location and for how long, so it’s a perfect solution. Of course, it could also be used when the family splits up at an amusement park or is spread out at the local shopping mall. Brightkite. What used to be a social-networking and location-based app transformed into a free group chat solution last year. The software does use up carrier text messages, but allows for our entire family to have a digital conversation when the need arises. Since the software supports image sharing, it can be a life-saver when everyone is hungry and checking different places to eat: a few camera snaps of the menus and we can all decide where to dine at the mall, for example. Brightkite supports Android, iOS and mobile web browsers. I’m going to continue my quest for family-oriented software solutions, and will follow up as I find more. Meanwhile, what apps are helping keep your family together? Thanks very much for the shout-out to Cozi. We work hard to make it super-easy for families to use our tools to coordinate their plans and lists, and appreciate you sharing them with your readers. Like you, we too are frustrated that Cozi is available to international users only the computer now, and not yet as a phone app. BUT, the international apps (for iPhone and Android) are already under development and we look forward to offering them with all the features users outside of the US expect. Thanks very much for the feedback! Cozi looks really interesting, but… as so often not for us outside the US (and Canada). Any recommendation for a similar app available in Europe? And why is Cozi even restricted to North America (and it seems certain carriers)? For families on the go, check MATH EGGS, an iPhone, iPod & iPad game for kids to practice the four math operations while having fun. Excellent, list. Thank you for compiling it. My wife and I are so reliant on our shared google calendar that I have had to acknowledge that it is CalDAV that has stopped me from seriously shopping for any android or Win7 phones for right now. We can push appointments and also alarms to each other. We actually have a google apps account so that we can control who sees what appointments. Grandparents get the vacation and school events, etc. 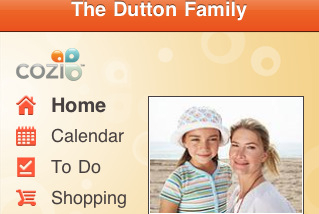 If google calendar was #2 on the list I’m downloading Cozi now.